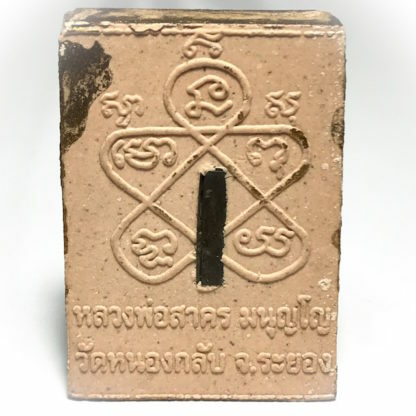 Pra Roop Muean Luang Por Sakorn Pim Siarn Lek (also known as ‘Hua Lek’), in Pink Prai Powders with Pong Prai Kuman of Luang Phu Tim Issarigo (Wat Laharn Rai) Only 1626 amulet made in Pim Siarn Lek with Silver Takrut The Pra Pong Prai Kuman Luang Por Sakorn Pim Siarn Lek (small head model) is since its release, and now more than ever a classic Pim Niyom model amulet of Luang Por Sakorn’s Great pantheon of amulets. 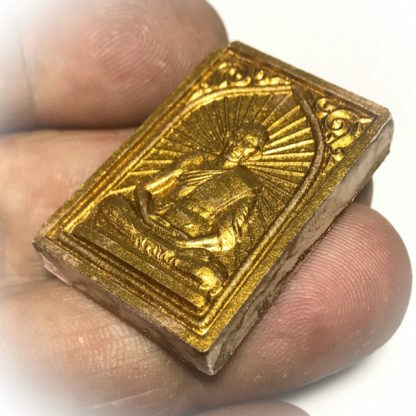 The Pra Roop Muean Siarn Lek an immense rarity in the present day to see, and ever more so since the passing of this great Master and ‘Looksit Aek’ first initiate of Luang Phu Tim Issarigo (Wat Laharn Rai). 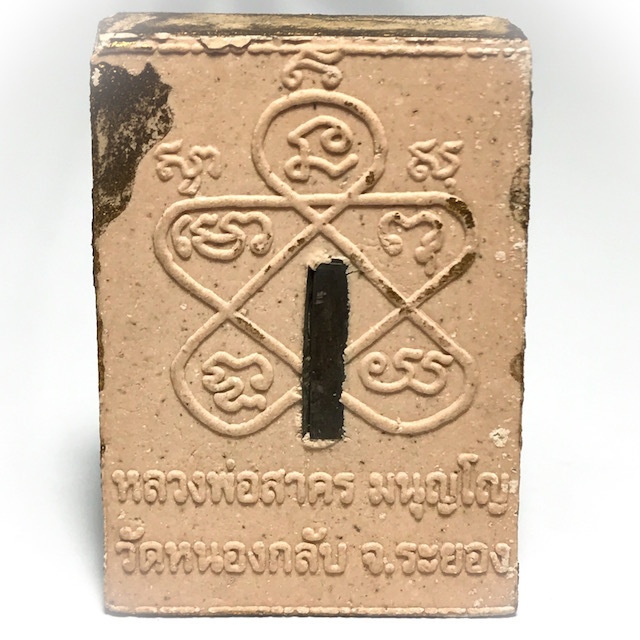 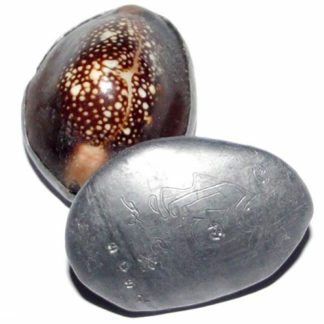 This Pim is the Pim Siarn Lek with Silver Takrut, made in Nuea Chompoo Pink Prai Powders with Pong Prai Kuman (visible in certain greenish-white marbled areas of the Muan Sarn Clay of the rear face). 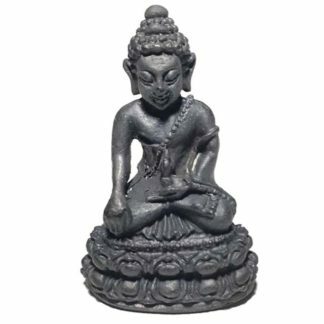 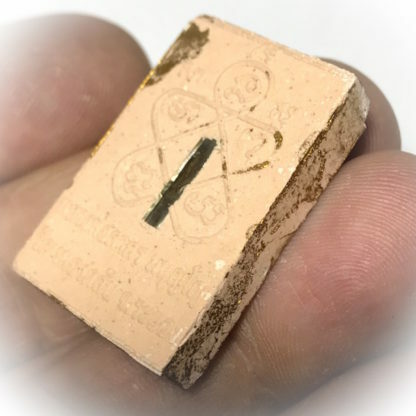 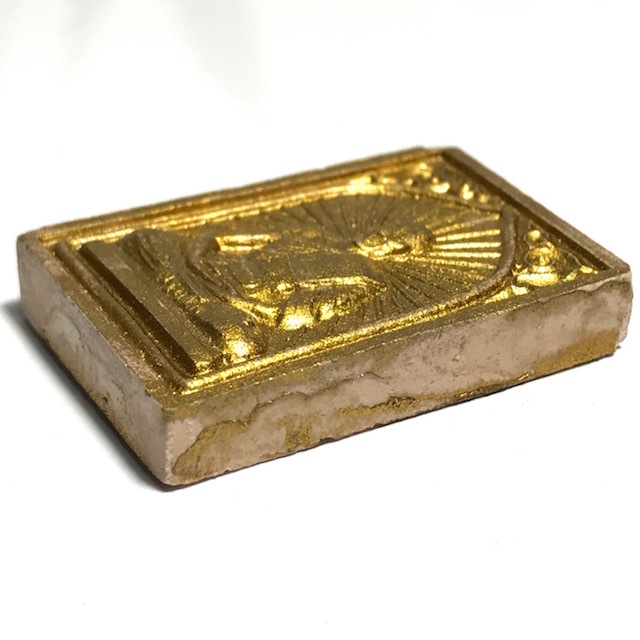 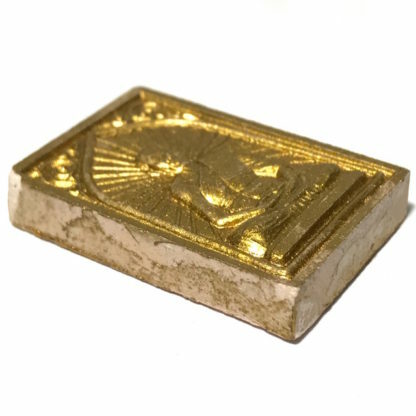 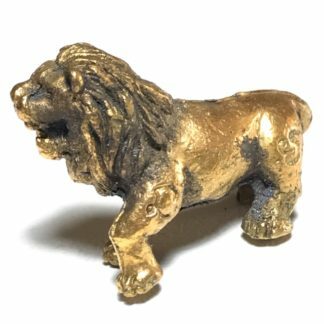 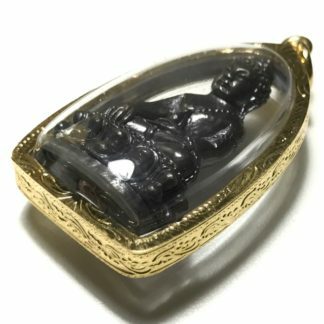 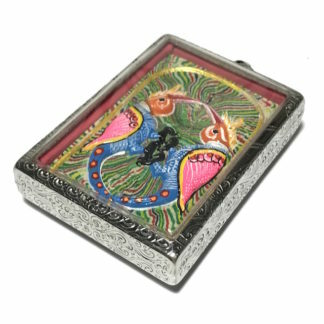 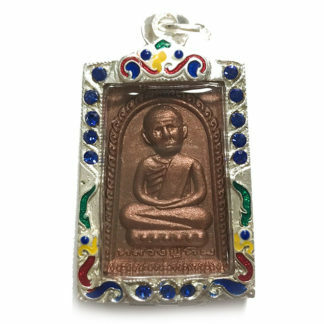 This amulet is an external afilliate product which can be bought on Ancient Amulet, one of our trusted afilliates, and one of the premier websites and online showrooms for Ancient Pim Niyom class amulets in the World Today. 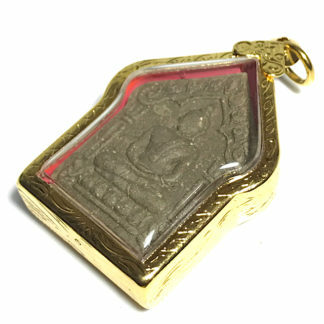 Please click the ‘Buy Now’ button to visit the Ancient Amulet showrooms and purchase this amulet if you desire. 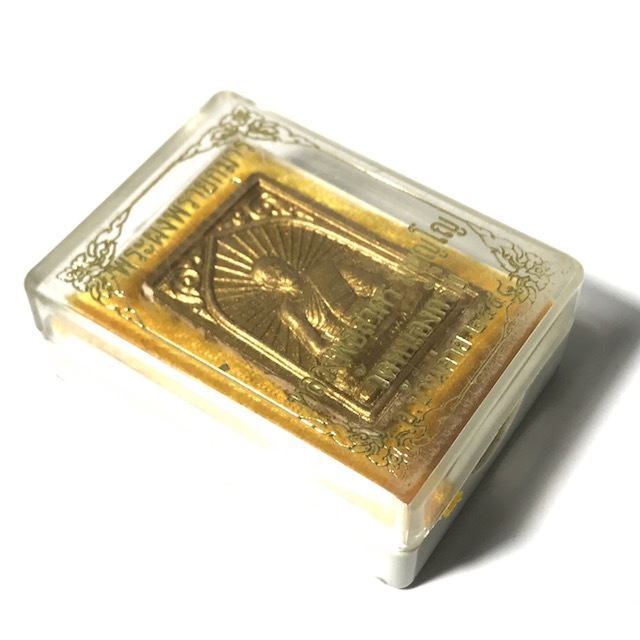 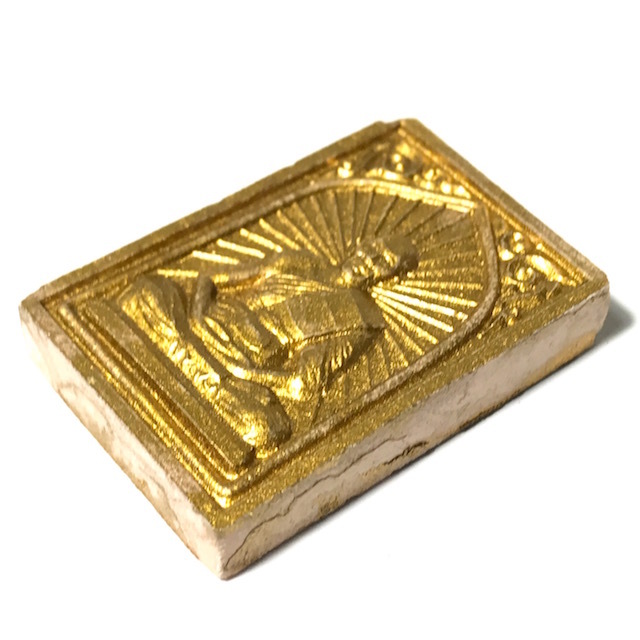 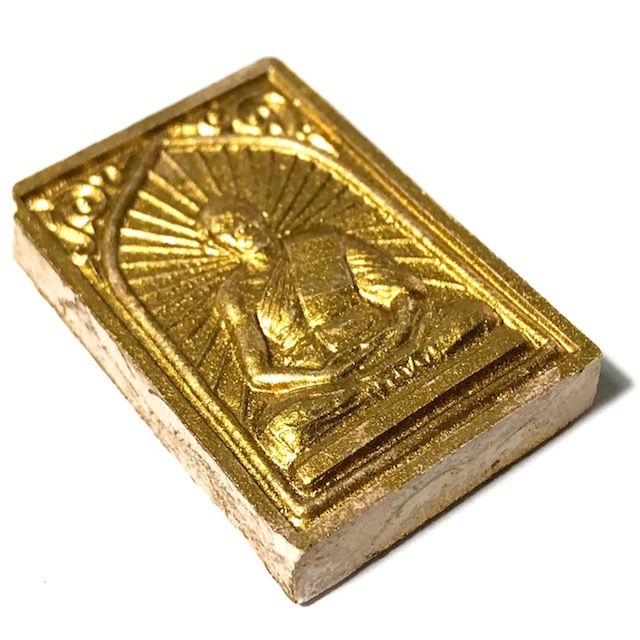 The powders were empowered by Luang Por Sakorn in solitary for 15 days and 15 nights before they were ready for being mixed into sacred clay and pressed into amulets, to be blessed in Buddha Abhiseka and handed out during the Tord Pa Pha Robe Giving Ceremony on the 27th February 2548 BE 10. 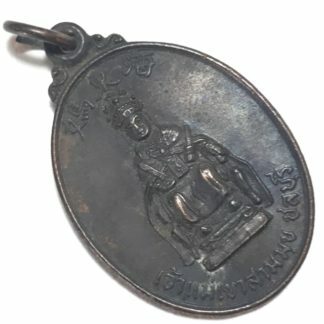 Pong Prai Kuman Luang Por Sakorn. 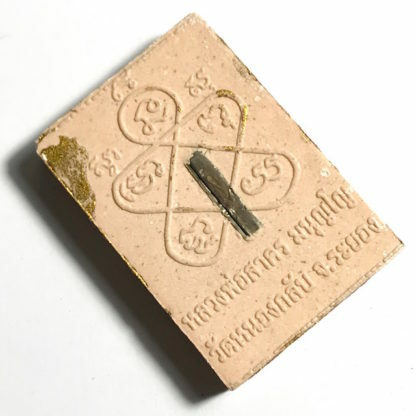 The Pong Prai Kuman of Luang Por Sakorn contained Sacred Powders from various editions of amulets of his Mentor Luang Phu Tim, mixed with Sacred Powders of Luang Por Sakorn’s early edition amulets, Paeng Sek Enchanted face talcs, Nam Man Prai Chant Pasom Khloen, Din jet Poeng (earths from 7 salt licks) Din Jet Plual (earths of 7 giant termite mounds, Din Jet Ta (earths of 7 Ports) Din Jet Pha Cha (earths of 7 cemeteries), Khee Takrai Sema (powders of 7 temple boundary wall fragments), and some of Luang Phu Tim’s Famous Pong PraIi Kuman, which he was given a repository of by his Initiating Mentor Luang Phu Tim. 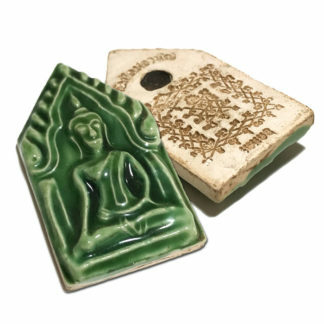 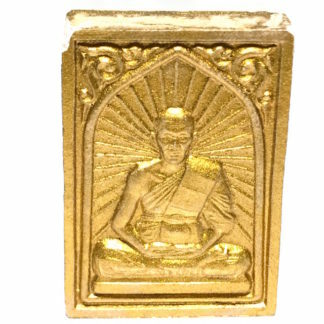 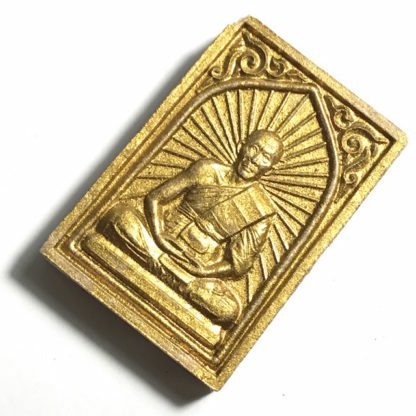 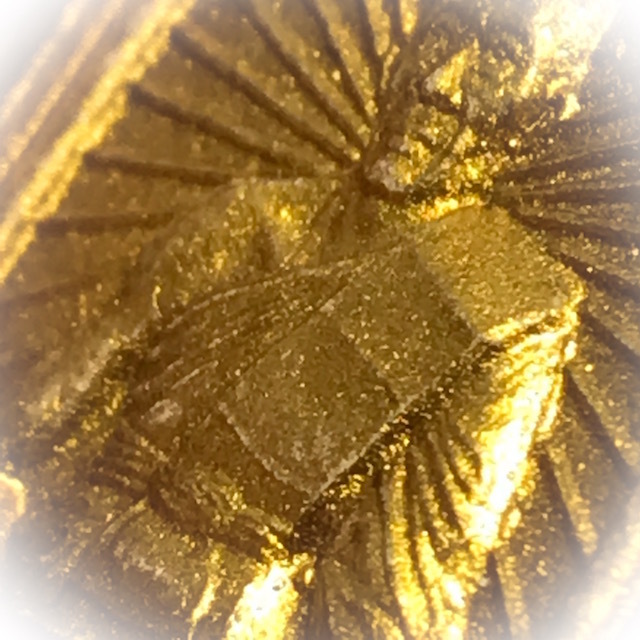 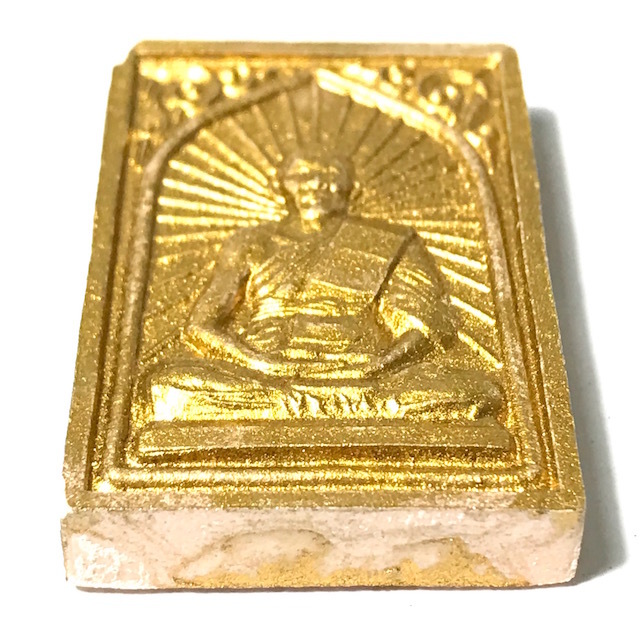 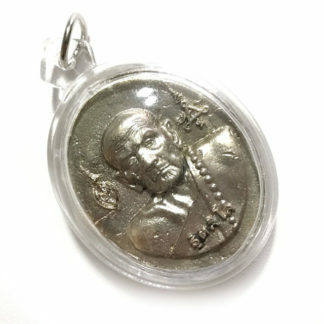 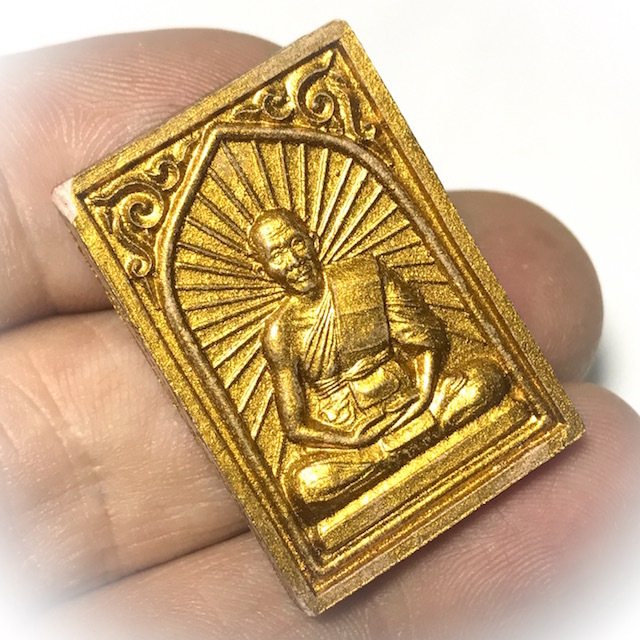 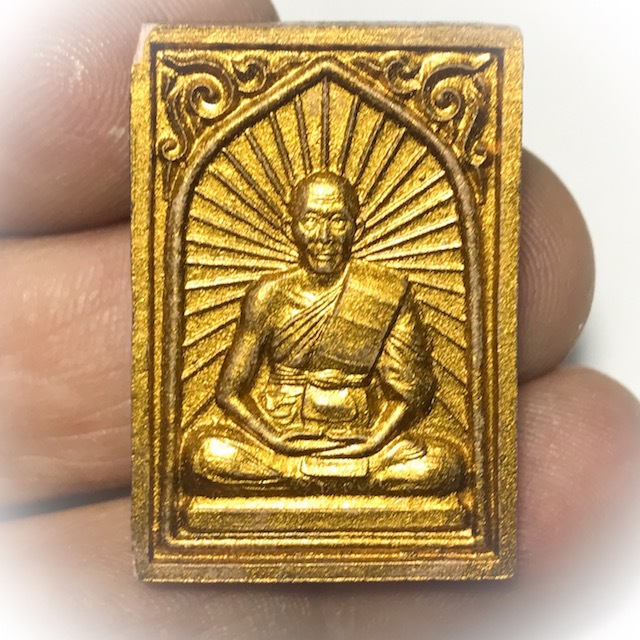 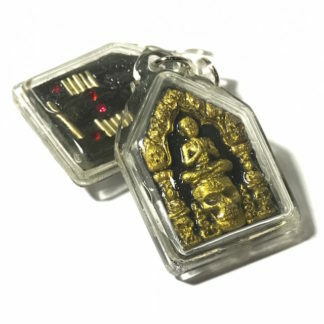 Luang Por’s amulets are favored and faithfully revered with hundreds of thousands of devotees around the world who believe in this Great Monk and his amulets. 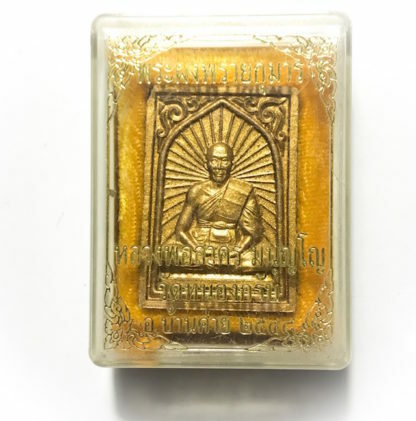 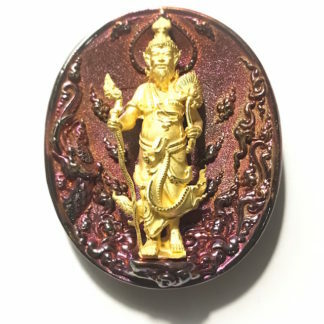 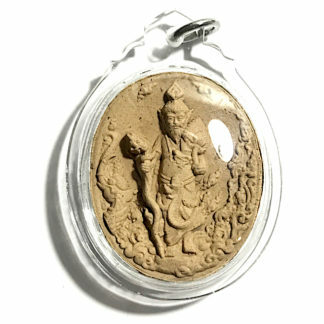 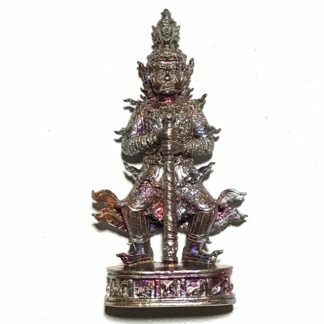 Luang Por Sakorn Passed away in 2013, and since his passing, his in any case Internationally popular amulets have become ever rare to find, as the devotees deplete the remaining stocks of amulets left around the country. 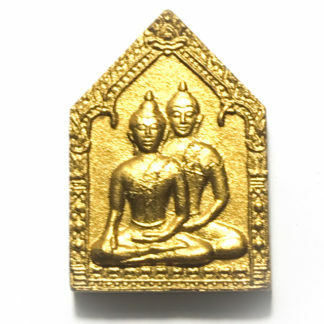 The value of Luang Por Sakorn’s amulets have begun to approach that of some of the mid range priced amulets of his Mentor, Luang Phu Tim, and are expected to continue to increase in both value and rarity continuously at the same very fast pace they have taken in recent years.